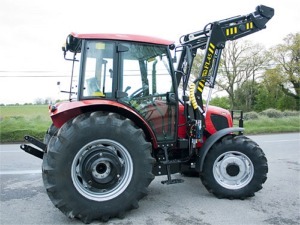 8100 Series TÜMOSAN tractors support farmers with their 4DT-39T295C 4-cylinder engines renewed at Stage III-A (Tier 3) level and offers superior performance and traction. With its turbo engine and 12 forward, 12 reverse gearbox, perform your work efficiently on challenging land conditions and save fuel. You can use your equipment problem-free with its 32 l/min pump capacity and 2820 kg hydraulic lift capacity. It attracts attention with its cabin, easy controlling capabilities, comfort and design.